Check out the planned trail works for the forthcoming weeks.. Follow the Dog - Rock and Rollers is closed whilst work is being carried out by The Forestry Commission and Chase Trails to rebuild this section. A signposted diversion is in place. We ask that for the safety of Forestry staff, contractors and yourselves you follow safety signage and instructions. 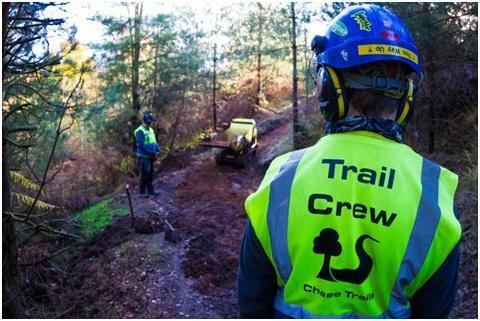 Visit www.chasetrails.co.uk to find out more about volunteering on our trails. MonkeyTrail – Advanced notice that The Forrestry Commision will be carrying out harvesting work that will effect large parts of the Monkey Trail. Works are expected to start in October.